Why is Winter Cocktail Attire Sleeveless? It’s cold outside. Snow’s falling. You have to bundle up to leave the house. So why is it when you go to the mall or shop online for winter cocktail attire, 90% of what you find is short sleeve or sleeveless? It just doesn’t make any sense this time of year. Who decided that women’s evening attire should be so skimpy on top? 1. The exposed neckline and shoulders offset and balanced their long, full evening skirts. 2. An open neckline and bare arms provided the perfect backdrop for statement jewelry. 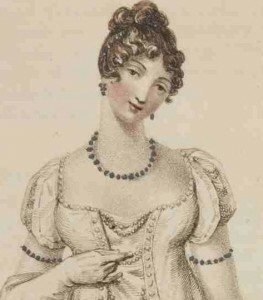 Every woman of means had a matching set of jewels – a parure (pah-roo) – and the only acceptable time to wear them was as night, with evening attire. 3. If there was dancing involved – and there always was at balls, a staple of British society in those days – then sleeveless gowns allowed women to cool off quickly from the exertion. Finally, it was a sign of wealth. Only those with money could afford the heat, luxurious cloaks, and carriage blankets required to keep a sleeveless woman warm in winter. It was an extravagance unimaginable to the lower classes. But going sleeveless was only acceptable at night. Covering skin during the day allowed a lady to remain untanned and modest, for only laborers toiled in the sun and got tans, and only women of easy virtue showed their shoulders before sundown. Societal rules were very strict in those days about how a lady of stature should act and dress. Many of those tenets became standards of conduct that are still in use today. The Italians were the first to come up with the idea of different clothes for day and evening. Flush with profits from the Medieval Silk Road trade in the 15th century, they sought to increase their status – and distance themselves from the lower classes – by “changing for dinner” into elaborate evening attire. The custom spread quickly among the European middle and upper classes, and has remained in effect ever since. When Victorian multi-course formal dinners (like those shown in Downton Abbey) declined after World War I, the more casual buffet-style cocktail parties took their place. Coco Chanel created the first little black cocktail dress in 1926. But going back to the early 1800’s, how did ladies keep warm after they handed their cloak to the butler or footman? Evening gloves. 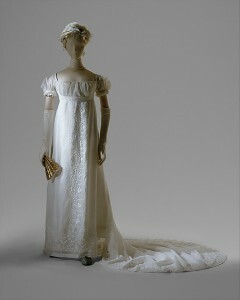 A short sleeve gown called for an elbow-length glove, a cap sleeve or sleeveless gown called for an opera length glove (above the elbow). 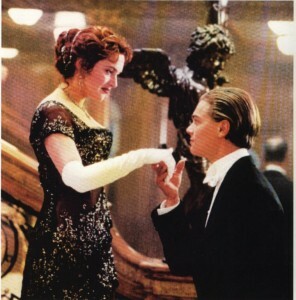 Not only did gloves keep arms warm, they also kept skin-to-skin contact to a minimum, which was deemed too intimate when dancing or shaking hands. Gloves also reduced the spreading of germs and viruses. They were removed when dining. with Leonardo DiCaprio. Story set in 1912. 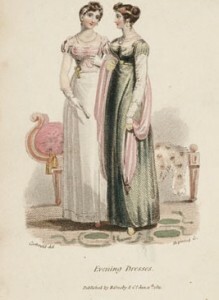 The word “glamour” first came into common use around the same time as sleeveless evening gowns – in England, c. 1800. Coincidence? Hardly! It was a sign of the times. From the Scottish glamer, it meant a magic charm cast on people so they saw things as being better than they really were – a visual deception. So people strove for “glamour” in their dress, homes, and carriages to make them look “better” and more monied than they really were. Two hundred years later, we’re still doing the same thing. We just use labels and logos as status symbols instead of jewelry and horses. So how can you look glamorous – and stay warm – with what’s fashionable today? Well, if you always get cold, don’t like sleeveless attire, or can’t wear it because of religious concerns, there are still lots of cocktail and evening attire options, many of which won’t make you look matronly or like a nun. You’ll find lots of cocktail and evening attire with sheer sleeves, which both covers modestly yet gives the illusion of a sleeveless top. Don’t like showing your upper arms? Try an elbow-length sleeve that covers yet still looks festive. Three quarter length sleeves extend below the elbow and offer both coverage and warmth. A full length sleeve offers full coverage, but be careful to balance the skin you show with the skin you cover so you’re not “all clothes,” like a nun in a habit. This is a fun one that calls attention to your arms, but it will also keep you warmer than going sleeveless. More of a suit kind of gal? Then pair one with evening accessories to make it cocktail appropriate. This was a favorite from the 1930’s-1960’s, and you can still find some of these ensembles if you look. 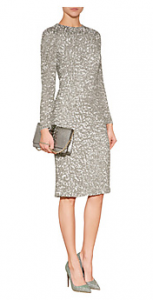 If not, find an evening jacket the coordinates with your cocktail dress to keep the chill at bay. Not everyone’s cut out for short sleeve or sleeveless attire. If you’re not, find pieces that suit your body and lifestyle. Don’t let anyone tell you that you HAVE to expose your shoulders or upper arms, because you don’t. You just have to balance what you cover with what you expose to create a balanced look. When you find the amount of coverage that’s right for you, you’ll look good and enjoy yourself. Precisely what parties are all about. Diana Pemberton-Sikes is an image consultant and author of Signature Style Blueprint, an ecourse that shows women how to create a signature style that suits their budget, body shape, and clothing personality. Get Signature Style Blueprint today. Great article! I’m a history teacher and lots of things we do today only make sense if you know the background. 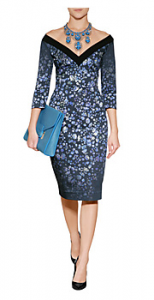 I also love it that one of your examples of a nice cocktail dress is a plus-size. I’m glad you enjoyed it! Yes, sometimes you have to go back and look at the origins of something to understand why it’s done that way now. Once you do, it makes perfect sense. Thank you for showing some dresses on heavier models! They look really elegant, too. Hi Slccom – you’re welcome! I like to offer size and price point variety. I don’t want anyone thinking, “I can’t do this because I don’t have the money,” or “That won’t work on someone my size.” It DOES work, once you know where to look. Take care! Great job! I always enjoy the history behind the fashion! I enjoyed the article. 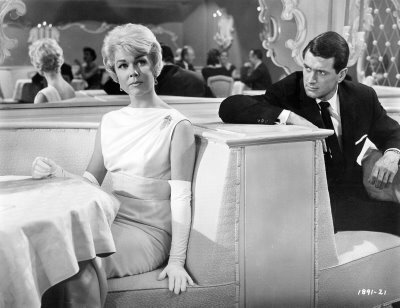 I was thinking that Doris Day’s outfit would also illustrate the need for evening wraps, because she had a little white fur wrap that she wore with the white gown in the outdoor scenes. Glad you enjoyed it! Yes, Doris did wear a beautiful wrap with that dress. So chic, so elegant! It’s nice to know the history behind cocktail attire. This morning I stopped at a shop and this came up. It was fun to share your article. It explains so much. Love the Jessica Howard. Thanks! Hi Jennifer – Glad you liked it! Part of the reason I give the historical perspective is to get people talking and thinking. Thanks for sharing! 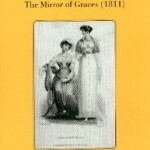 I enjoy these historical perspectives that you give about various fashion customs. Always interesting. And your advice is always practical and welcome. Thank you! Hi Peggy – Thanks! Glad you’re enjoying it! I like the history, because when you know where customs come from, they make so much more sense. Hi Elizabeth – You’re welcome, and you may absolutely post this article on your blog, so long as you include my byline. Thanks for asking! Had cocktail reception for incoming Chancellor of the Philadelphia Bar when wind chill brought temperatures to zero. Wore a sleeveless, Mediterranean blue ponte dress with off-white faux fur jacket and silk scarf. Red hat, tweed coat, and warm boots. Had to lose long underwear and put on stockings before the event. Showed off my legs and was complimented by several attendees on my look. You’re welcome, Carol! Sounds adorable! Any pictures?